Baby's First Shark -- Let The Fin Begin! There is no reason for baby's things to be the boring same-old same-old. This adorable little robe is 100% cotton. The hood resembles a shark's head and teeth, while the bottom is shaped like a shark's tail. There is even a little dorsal fin attached to the hood. 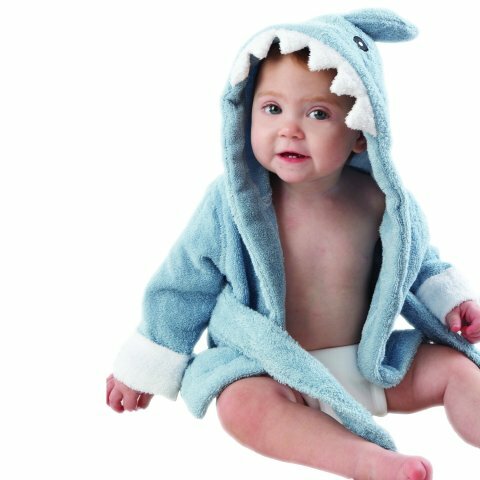 The shark robe can also be personalized with baby's name. This shark is perfect for after bath or after a swim. While it is shown here in blue, it is also available in pink. If sharks aren't your thing this style of robe also comes in other animals -- including hippos and penguins. 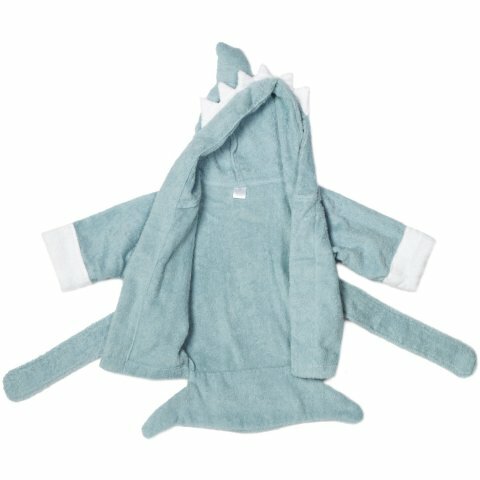 To order a Let The Fin Begin robe for your favorite baby, click here.